The bizarre design of this nut bowl is what makes it interesting and beautiful. 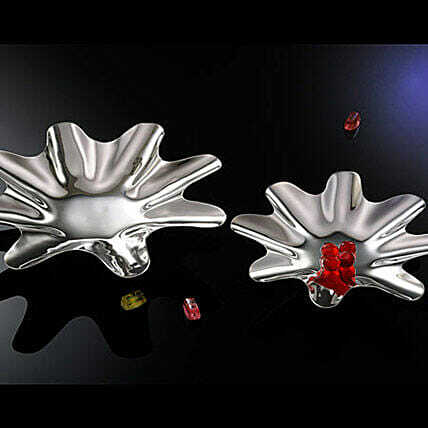 This Diwali, compliment your colleagues, partners or clients with this beautiful Splash shaped Silver Nut Bowl and show how much you value them. Polish your product carefully with a soft, lint free cloth or clean it by hand with lukewarm water. Do not soak your crystal products in water. Dry with a soft, lint free cloth to maximize brilliance. Avoid contact with harsh, abrasive materials and glass/window cleaners. When handling your crystal, it is advisable to wear cotton gloves to avoid leaving fingerprints.